When planning a home remodeling project it is important to avoid home remodeling change orders. Home remodeling change orders are expensive and open you up to contractor price gouging. Home remodeling contractors hate change orders because they disrupt the home construction flow and inevitably lead to cost overrun debates with homeowners. 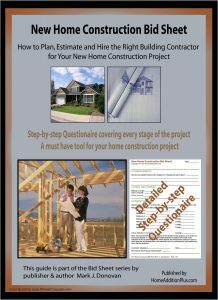 Avoiding home remodeling change orders is relatively simple to do, but it takes some up front planning and discipline. There are two main areas in which home remodeling change orders arise. 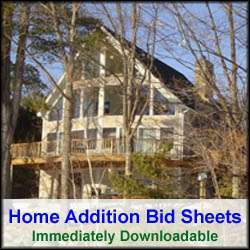 The first involves changes in the actual shape and size of the home remodeling project itself. For example, when the homeowner actually sees the rough framed structure they begin to question the location of walls, room sizes, and door and window locations. This inevitably leads to discussions with the contractor about moving a wall, or the location of a door or window. The second major area where home remodeling change orders sprout up is in the finished features of the home remodeling project. Typical items that come up for discussion are paint colors, flooring products, cabinetry, electrical outlet/switch locations, lighting fixtures, house siding types/colors, and bathroom fixtures. In each of these two areas you can avoid home remodeling change orders by carefully reviewing the home remodeling plans and by selecting the finished building materials before the home construction actually starts. By doing so, you can prevent the risk of major cost overruns and schedule slips. When reviewing the home remodeling plans for room sizes, and door and window locations, carefully study the floor plans to determine if the new living space will support your intended use. Make sure there is sufficient room to support your desired furniture, and that there are adequate foot paths for moving and walking around the furniture. Also, make sure the door locations will not impede the placement of furniture and are consistent with the expected footpaths through the new living space. When reviewing the list of building materials in the home remodeling plans, make sure it lists the specific styles, colors, and manufacturers of the finished items you desire. For example, if you are expecting the use of double hung Anderson Windows, make sure they are listed in the building material list. It is important to be thorough in this review and that no stone is left un-turned. By doing this upfront work you can avoid costly delays in your home remodeling project by preventing the need to make last minute purchases of long lead item products.